Christina Aguilera is being honoured by a major LGBTQ civil rights organisation. Christina Aguilera has announced her first UK tour in 13 years. Christina Aguilera has announced her first US tour in a decade. Christina Aguilera has marked her long-awaited return to music by dropping her first single in five years – Accelerate. 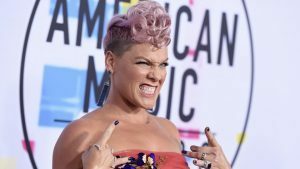 Singer Pink has hit back at reports that she was unimpressed with Christina Aguilera’s Whitney Houston tribute at the American Music Awards.